Four in ten New Yorkers report feeling unprepared for an emergency event such as a natural disaster, fire, power outage or act of terrorism. 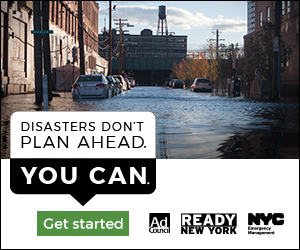 To raise awareness of preparedness tactics and encourage New Yorkers to plan ahead for disasters, the New York City Emergency Management Department, the Federal Emergency Management Agency (FEMA) and the Ad Council are releasing new public service announcements (PSAs) as part of the Ready New York campaign to conclude National Preparedness Month this September. 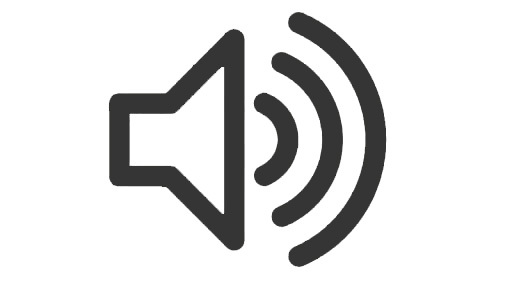 The creative encourages families to take time to talk about making emergency plans, including what to do, where to go, and how to stay in touch during an emergency. 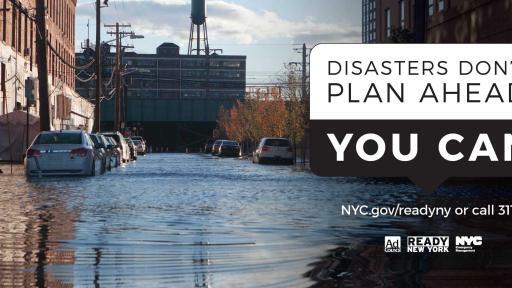 “We want all New Yorkers to know what to do to be prepared before a disaster strikes. We can help protect our families by thinking through the steps to take before, during and after an emergency. 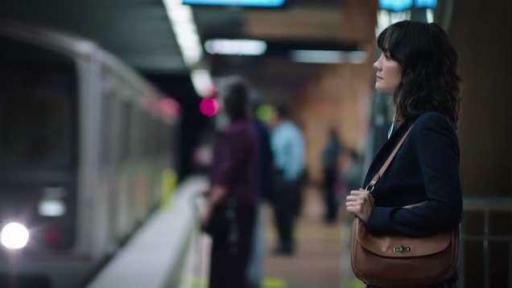 The new ads show how easy it is to make a plan, empowering New Yorkers to have a much-needed discussion about family preparedness,” shares Joseph J. Esposito, Commissioner of NYC Emergency Management. Building on the success of the “Don’t Wait. 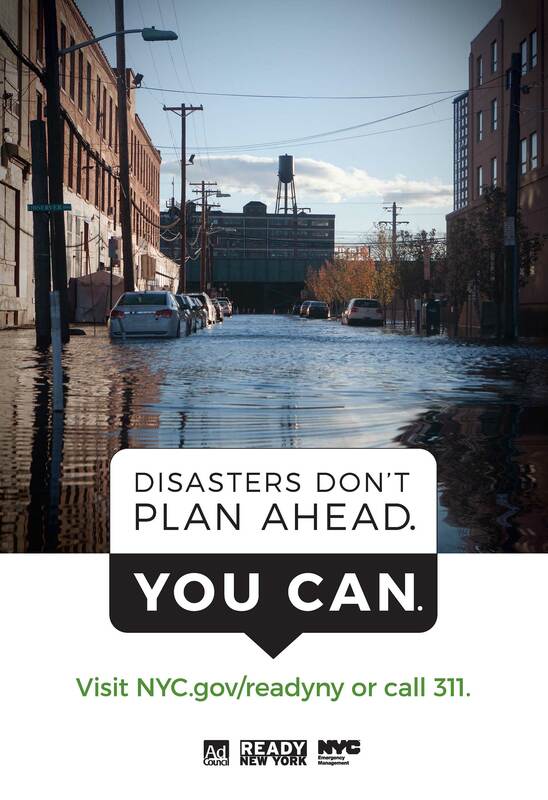 Communicate.” PSA campaign launched in 2015, this new iteration, “Disasters Don’t Plan Ahead. 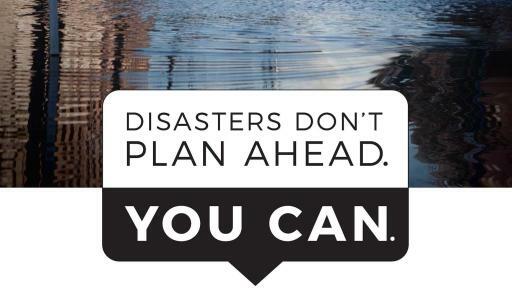 You Can.” encourages families to develop an emergency plan before disasters such as flooding, power outages and hurricanes strike. 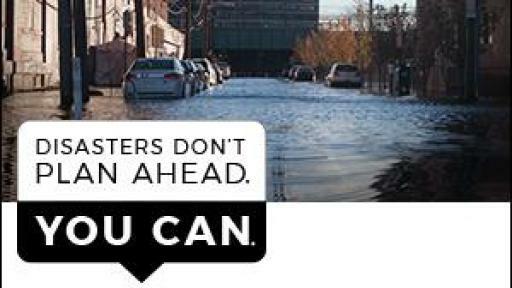 Created pro bono by advertising agency Schafer Condon Carter (SCC), the creative demonstrates that disasters aren’t courteous enough to plan ahead to accommodate our busy schedules, but there is something we can do about it. It encourages viewers to plan ahead and talk to their loved ones today about getting prepared. Managed and sponsored by the Ready campaign, National Preparedness Month is designed to encourage Americans to take steps to prepare for emergencies in their homes, schools, workplaces, organizations, businesses and places of worship. National Preparedness Month is an opportunity to share emergency preparedness information and help Americans understand what it truly means to be ready. The new creative will have English and Spanish TV spots, radio, outdoor and digital banners. For more information, visit NYC.gov/readyny, download the Ready NYC app, and follow the New York City Emergency Management on social media. The New York City Emergency Management Department plans and prepares for emergencies, educates the public about preparedness, coordinates emergency response and recovery, and collects and disseminates emergency information. Residents can stay in touch with NYC Emergency Management via Facebook, Twitter, Instagram, and the agency’s website, NYC.gov/emergencymanagement. New Yorkers can also sign up for Notify NYC, New York City’s official source for information about emergency events and important City services, by downloading the Notify NYC app, visiting NYC.gov/notifynyc, calling 311 (212-639-9675 for Video Relay Service, or TTY: 212-504-4115) or by following @NotifyNYC on Twitter. The Ad Council is a private, non-profit organization with a rich history of marshalling volunteer talent from the advertising and media industries to deliver critical messages to the American public. Having produced literally thousands of PSA campaigns addressing the most pressing social issues of the day, the Ad Council has affected, and continues to affect, tremendous positive change by raising awareness, inspiring action and saving lives. To learn more about the Ad Council and its campaigns, visit www.adcouncil.org, like us on Facebook, follow us on Twitter and Instagram or view our PSAs on YouTube.